J. R. R. Tolkien completed his 2000-page handwritten translation of Beowulf in 1926 but never published it. On May 22nd, eighty-eight years later, Harper-Collins will release the new edition, which includes commentary taken from his father’s Beowulf lectures by editor Christopher Tolkien. Beowulf: A Translation and Commentary is now available at amazon.com. 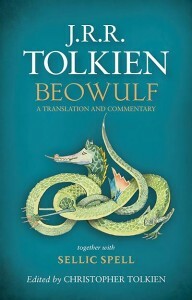 Tolkien’s extensive academic background no doubt informed his translation of Beowulf, which in turn influenced his writing and fed his imagination. We all know where that went! What would we do without his fantasy classics The Hobbit and Lord of the Rings! 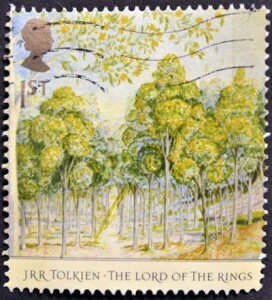 Christopher Tolkien has edited, published, and expanded upon his father’s work for a number of years. I’m very glad that he did and I’m looking forward to getting a copy of the Tolkien Beowulf translation. If the writing is true to form, it will be accessible and engaging as well as faithful to the meaning of the original language. Read the complete news story by Anita Singh, “Tolkien translation of Beowulf to be published for first time“, in The Telegraph, 19 March 2014. Added: After I wrote this post, there have been many more positive news stories about the new translation becoming available. But Western News (London) ran a piece that presents a negative viewpoint about its worth from a scholarly academic perspective. See for yourself at Tolkien translation of Beowulf adds little – beyond cash by Adela Talbot, Western University (London), 27 March 2014. A balanced view is always useful, and her points about Tolkien estate intellectual properties are not off the mark. On the other hand, do I care whether Tolkien’s “working translation” contributes to scholarship or enriches the Tolkien estate? Honestly, no. As long as it’s not hyped as something it’s not and the pricing isn’t greedy. I’m more interested in Tolkien’s personal take on Beowulf. The problem with this and other posthumous publications is that we don’t know Tolkien’s reasons for not publishing it. Would he have revised or polished up the manuscript before sending it into the wild? Did he feel that his translation of certain sections or words was truer to the original meaning than what was available at the time? In any case, I’m curious about this gifted writer’s version of the story.